Are You Experiencing Problems With A Leaky Roof? High winds, hail, flying debris and fallen tree limbs are sure to leave your roof damaged. Whether it’s from a tornado, hurricane or storm, EZ Restoration LLC will get you back to normal ASAP. 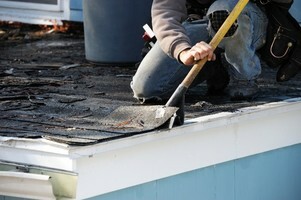 If you are experiencing minor roof damage, we’ve got that covered too. For 6 years, EZ Restoration LLC has been helping repair leaking roofs and solving roof drainage problems. No matter the style roof; tile, shingle, metal or flat, EZ Restoration LLC are experts in repairing roof leaks. There is nothing we can’t handle. Don’t wait until a roof leak damages your property. Call (844) 289-7209 today for a free roof repair quote. We’ve been helping keep roofs over head for 6 years.